Decades of trust. Confidence in the future. Welcome to Marchant Company Real Estate. If you are planning to buy a home, or rent a home in the Greater Greenville, SC area including Taylors, Mauldin, Travelers Rest, Greer, and Simpsonville, the experienced and professional real estate agents at The Marchant Company will meet your every expectation with their unparalleled service and quest for client satisfaction. We are currently in our 22nd year of business and have over 350 years of combined experience in the Greenville and South Carolina real estate markets, our agents are well-equipped to provide you with the knowledge and service necessary for a successful real estate transaction. The Marchant Company is the premier brokerage representing Leverage Global Partners in the Upstate of South Carolina. This partnership allows us to give your properties global exposure while educating the world about our special city. See this wonderful article about Greenville, SC featured on Leverage. At The Marchant Company “Signature” defines our business. The agents at Marchant Company are known for their respect and trust, as well as their knowledge of the Greenville real estate market. This has allowed us to be identified as Upstate South Carolina’s “Signature Real Estate Agency”. We are willing to place our signature on our work which represents our commitment and dedication to meeting our clients’ needs. When a home is given our Signature status this means the home has met several criteria that make it a solid investment, or a home for your family. A short look through our homes for sale and Greenville area communities that we are active in, can give but only a glimpse of what our homes and real estate services are all about. The Marchant Company, Inc. was organized by Seabrook L. Marchant initially to concentrate on the sale of new homes in Greenville and to provide real estate services to homebuilders and developers in the marketing of new home communities in Upstate South Carolina. The company has now expanded to provide real estate services in other areas of the Greenville, SC real estate market: traditional buyer representation, listing services for sellers, and a property management division offering high-quality homes for rent in Greenville. Greater Greenville and Upstate South Carolina is a wonderfully diverse area to live. 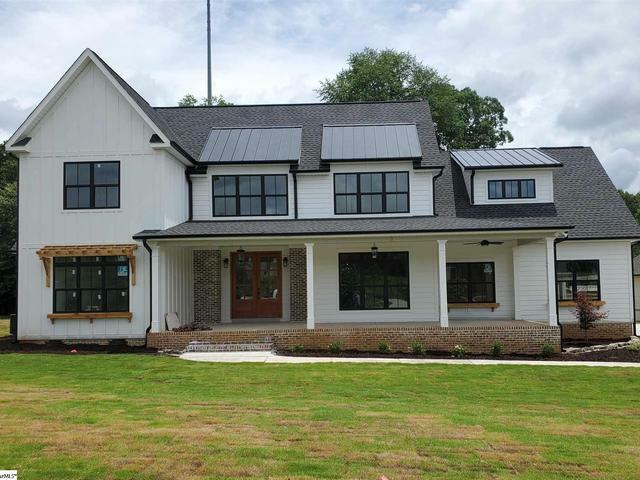 New home buyers and Investment Home buyers can choose from mountain homes on Paris Mountain, as well as many surrounding mountain communities like Flat Rock and Caesars Head. The heart of Greenville is flush with homes for sale in upscale neighborhoods and communities that are within excellent schools districts. The outlying areas of Greenville like Simpsonville, Piedmont, Greer, Taylors, and Anderson offer plenty of land, equestrian farms, and huge lots for sale. These are perfect places to build a luxury custom home. Whatever your property need is Greenville and Upstate South Carolina has something to offer. You can trust that our team of real estate agents will find the property you’re looking for. The Marchant Company services the greater Greenville, SC area including Taylors, Mauldin, Travelers Rest, Greer and Simpsonville. Feel free to browse our website, meet our team of agents, or contact us with any questions.